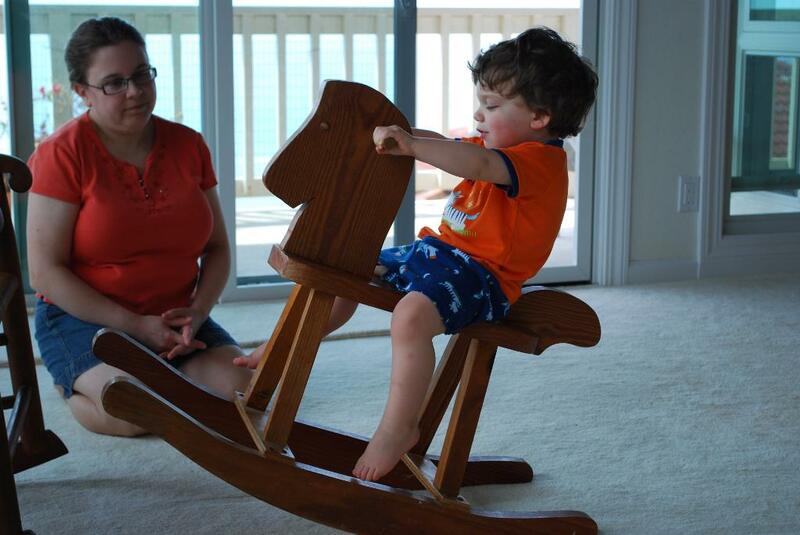 This morning, Anne found a rocking horse that she had in the house and thought Seth might like. She was certainly correct: Seth had a great time rocking back and forth, and could even get on and off it himself. Later in the morning, we were happy to visit with our friend Dave Walfish. Dave had been on the mainland until last night, so we were glad that he came back in time for us to see him before we left. Jason graduated from high school with Dave, and we both graduated from Williams with him, so it was great to see him. 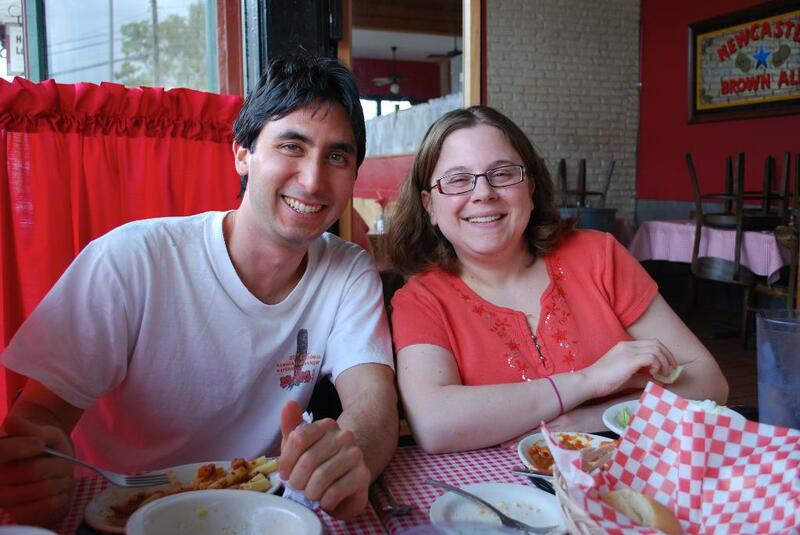 This was the first time Dave met Seth, and they had lots of fun together. After Seth woke up from his nap, we all went to eat lunch at Auntie Pasto's, a favorite pasta restaurant of Jason's family. 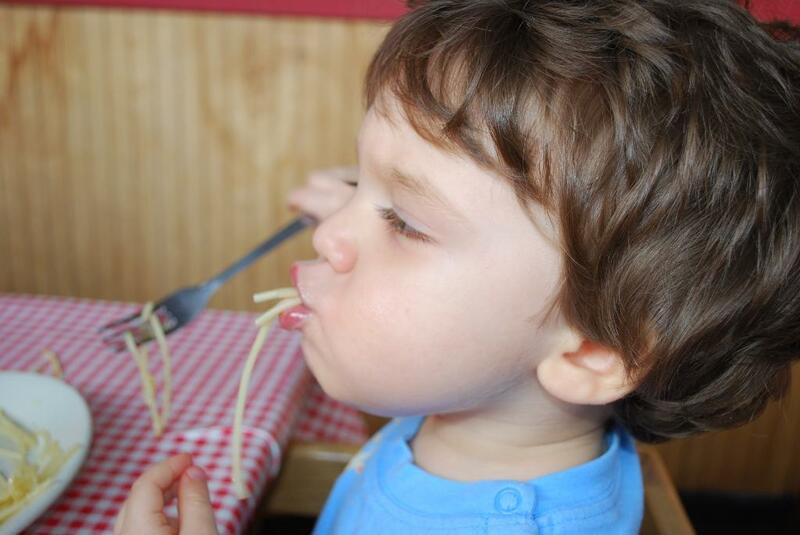 Seth was a very good eater, and sat and ate his yummy pasta like a big boy! Seth has also been having a lot of fun playing with this really neat cloth book that Anne got him - it is a Hawaii counting book, with velcro items you can remove, like geckos, mynah birds, and Seth's favorite - guitars! 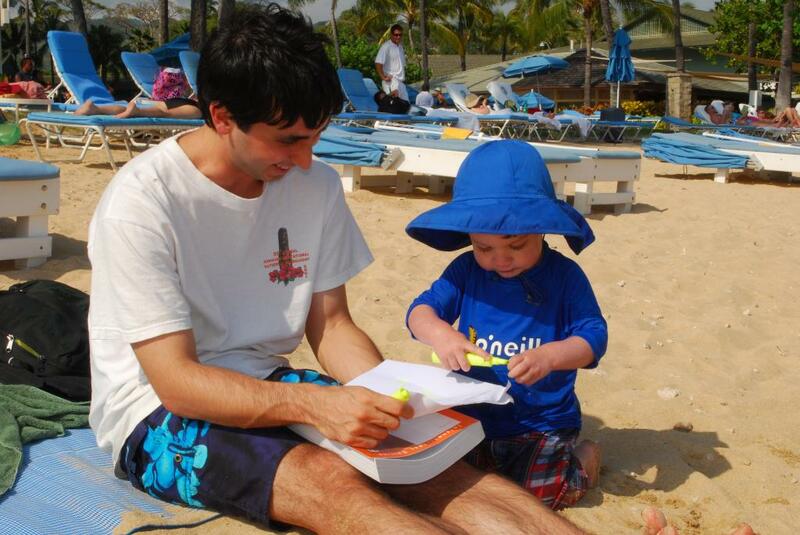 After lunch, we headed back to the beach at the Kahala hotel so Seth could show Dave the dolphins. 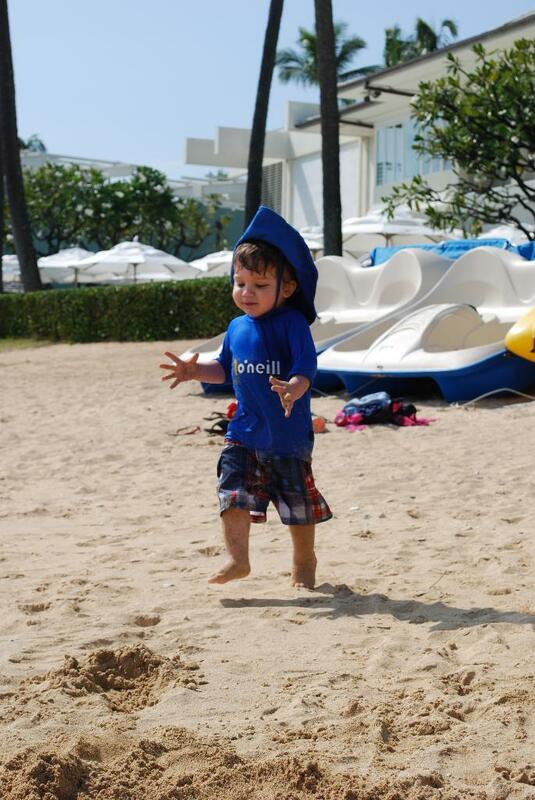 Seth had another great time digging in the sand, burying mommy, and completing Dave's grad class homework. We headed back home after a fun afternoon, said goodbye to Dave, and had a great time hanging out with the Williams'. It is going to be hard to say goodbye tomorrow! See all pictures from today.